Shivani Radhakrishnan is a sophomore on The Red Ledger and LNN staff who has a profound love of good music and “The Office.” On an average day, she can be found hanging out with friends, making memories, dancing, and singing off-key. She has been in newspaper since the eighth grade, which was when she fell in love with reporting, and she loves broadcast journalism. Her love for newspaper and broadcast comes from her inquisitive nature, and that influences everything she does, whether it be asking too many questions or talking too much. She loves making new friends, her debate team, history, spending too much time watching Netflix, skateboarding, reading good books, makeup, and shopping. 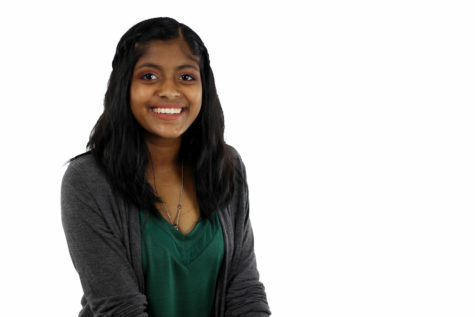 This year, she hopes to make good memories and improve her journalism and broadcast skills.